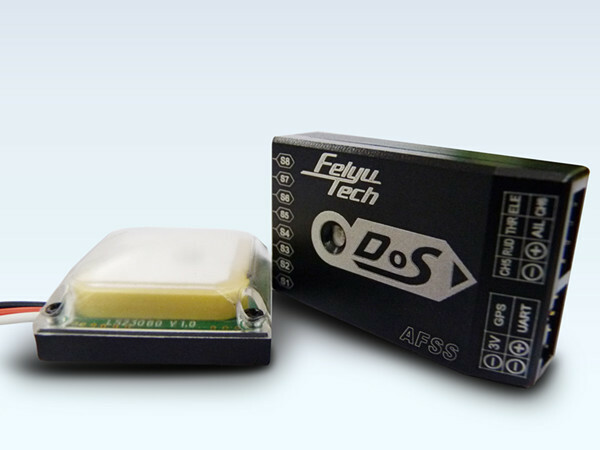 DoS is an aeromodelling balancing instrument designed for a variety of platforms. It is aimed specially at beginners willing to improve their flying skills while enjoying flight safety and ease of operation. 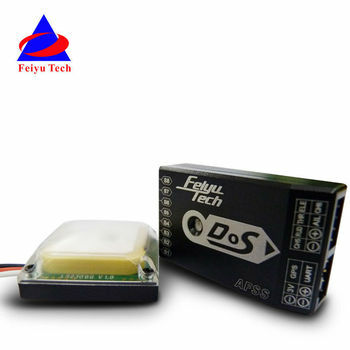 It Integrated 10 degrees of freedom sensor,including three-axis digital accelerometer ,three-axis digital gyroscope,three-axis digital magnetometer,high-accuracy barometermore compact and higher stabilityNot only it boasts auto-stabilization flight feature and 3D flight mode, but also acts as autopilot which has the functions of auto return to launch, fixed altitude and heading lock as well as automated circling if connected with GPS module. DoS could be connected to Hornet FY-OSD for FPV flight, connected with data link and used GCS to achieve flight control and data monitor. Using DoS stabilizer, you can improve your own flight level quickly, enjoy your flight in the air with greatly reduced possibility of losing and crashing plane. Stabilized Mode - DoS can automatically keep the level flight attitude in any weather condition. This makes operating the aerobat become very simple and easy for the beginner. When the pilots feel the plane out of control as long as stabilize the flight throttle, loosen the operating sticks, it can automatically recover to the level state. 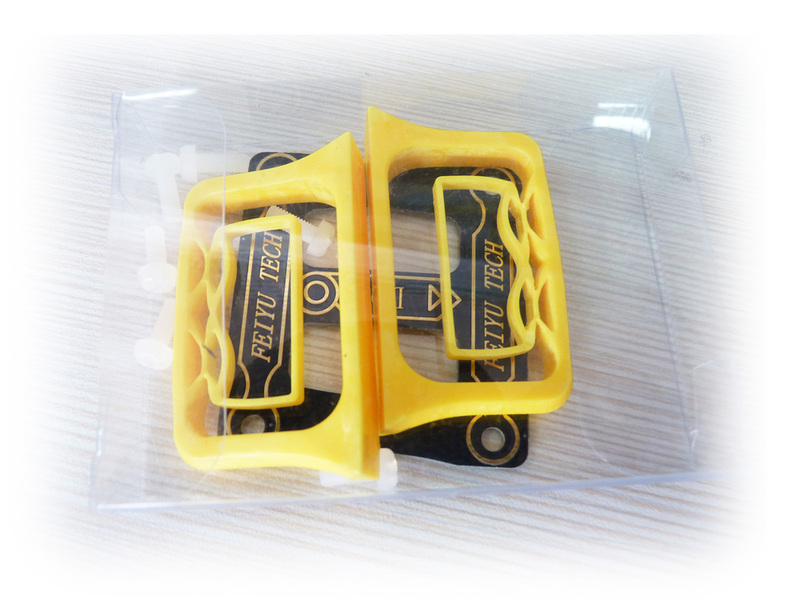 3D Mode - Help stabilize flight attitude, will try its best to keep loosen sticks attitude flight, make the flight more smooth, easy to do all kinds of special action. Fixed altitude and Heading lock flight Mode - can lock the flight course and maintain the flight height. 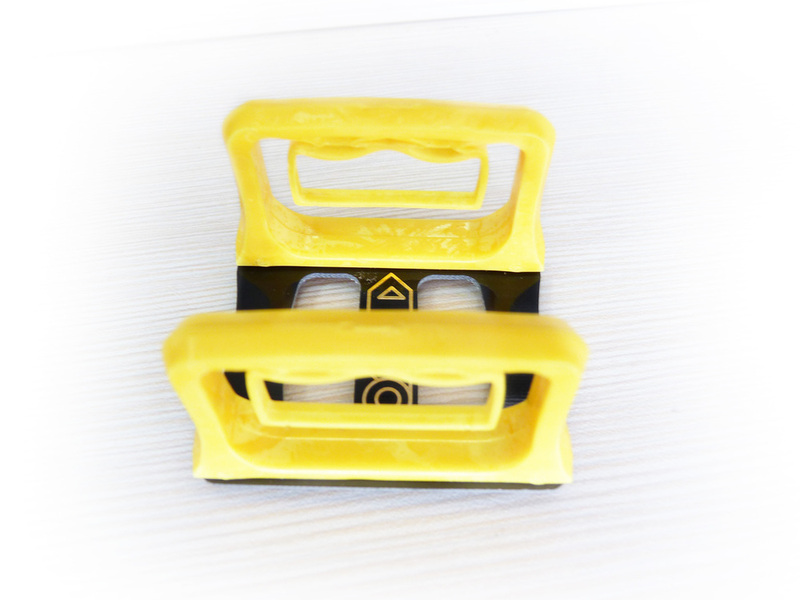 Loosen the operating stick; the plane can automatically keep flight course, at the same time lock flying height, automatically correct flight course deviation, easy to operate. Auto Circling Mode -Plane will keep the current height, at a certain turn rate hovering flight (look up, a counterclockwise circle), but it will not hover around a fixed point, and may be away from the original hovering point because of the wind. Auto Return To Launch Mode(RTH) - In the Auto Return To Launch Mode, aerobat will automatically return to the course reversal point, keeping the current height, and it will hover after arriving the target point. Auto Circling Mode-When activated in this mode, the plane will immediately fly in a circle( look up , clockwise hovering). The centre of the circle is the point of activation.The plane will hover keeping the current height, The hovering radius can be set, and the default circle radius is 80 meters. 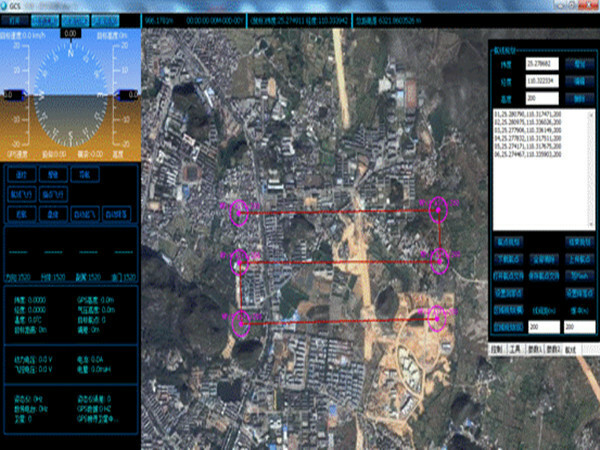 GCS software-Operator can set flight parameters, monitoring and recording flight path etc through the GCS software in the computer. (This requires connecting the data radio) . Flight Fencing - Can set distance when is in recerceicer remote control, if your plane goes outside the fenced area then it will auto switch to GUIDED mode, and will fly back to a pre-defined return point and loiter there ready for you to take over again. You then use a switch on your transmitter to take back control . Stabilized mode stable aircraft flight attitude, pitch and roll stick center position for 0 °attitude,its endpoint is 45 ° , pitch and roll stick can linear control the flight attitude, maximum angular velocity isr 150 ° / S. Yaw stick in the center position will lock current course , its endpoint corresponding maximum rotation rate 135 ° per second, yaw stick can linear control body rotation rate. Throttle stick direct control aircraft climb and decline, climbing and declining rate is directly related to the throttle size. Fixed altitude flight Mode, pitch, roll, yaw control mode is the same as in Attitude Stabilized Mode ,DOS automatic control flight altitude, climbing and descending rate is directly related to the throttle size, throttle stick center position for maintain altitude, throttle stick maximum corresponding upward climb rate 3 m/s, throttle stick minimum corresponding decline rate of 1.5 m/s,throttle stick can linear control body climb and decline rate. Attention:From Attitude Stabilized Mode switch to Fixed altitude flight Mode,please as far as possible to maintain the current altitude, this time throttle stick may not be in the center position, that need you to agjust it to center position for maintain current altitude. When you exit Fixed altitude flight Mode, needs to recover the throttle stick to balance flight position in time,to prevent the altitude sudden changes caused by the change of throttle . 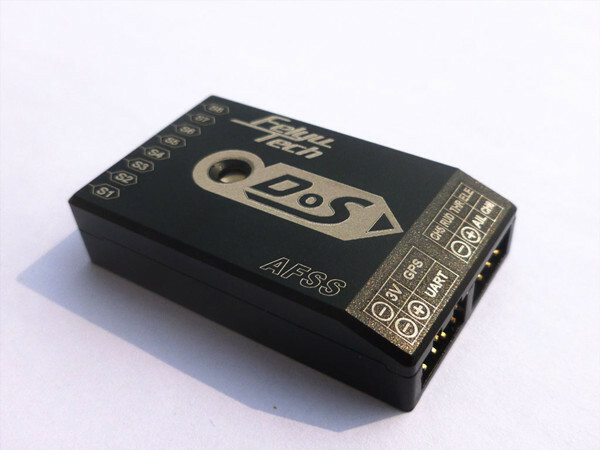 DoS has one UART interface for connecting the FY-data radio and the OSD module. It can realize the following function by combing them. First Person View (FPV): Can be connected to the Hornet - OSD, the flight data stack to video output,and through the vodeo transmission system to send back, let you enjoy the fun of FPV. And it will be easier to operate FPV with the functions of automatic balance, Fixed altitude and Heading lock flight and Auto Return To Launch. Real time telemetry-real time monitor the flying state, using the Data Radio to lengthen the remote control distance , and you can change the flight height and flight parameter through the Ground control system(GCS). 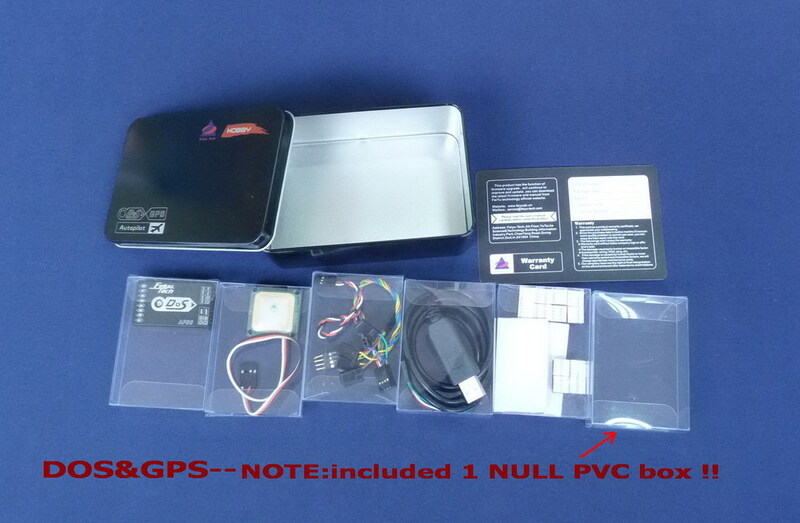 In the video can be shown on the flight attitude, flight speed, position, height, time, distance, working condition, the battery voltage, current, power consumption etc. 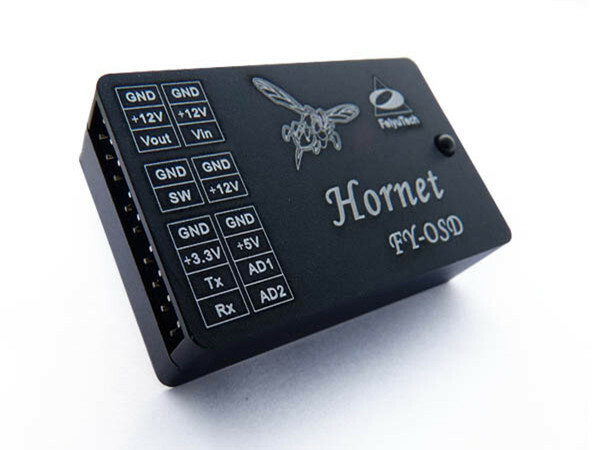 More information please check FY- Hornet-OSD instruction. We suggest you useing DHL as shipping way, it is much faster than EMS, of course, you could choose EMS based on your needs,but it'll spend you at least 15workdays, wish you all the best! Free shipping cost with UPS and DHL doesn't include remote region,After you pay, please leave a message to tell us the goods value, if not, we will declare full value, thank you!